So far this series has covered how different game studios create sounds for their monsters and sci-fi adventures. There is, however, a video game developer whose library spans several genres and puts enough effort into their sound department that it warrants its own article. The staff at Blizzard Entertainment, the creators of Warcraft, Starcraft, Overwatch, and many more, care a lot about the sound quality of their games. Through videos and interactive panels at BlizzCon, they have shown fans how they make their sounds. Hearthstone sounds are charming and whimsical, so the sound team used an analog tape recorder to give a more appealing quality. Starcraft games require more synthetic adjustments and metallic sounds. 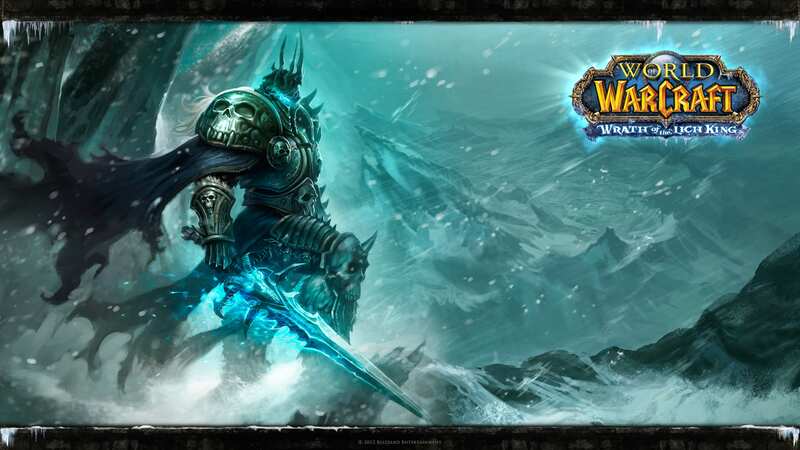 World of Warcraft sounds range from windy mountaintops, salty port towns, slimy caverns, and forests filled with wisps. Overwatch isn’t as futuristic as Starcraft and takes place in a world that sounds closer to our own. These diverse types of games each require very different sound design. However, their team is able to bring these worlds to life by paying attention to what makes them unique. Ambient sounds are what help make World of Warcraft so immersive. When it comes to environments, sound designers can start much sooner since they don’t need to match movements or actions, but an overall feeling. In places like Azjol-Nerub, designers needed to make it feel cold, slimy and crawling with spindly Nerubians. First, they started by recording people chewing gum with an open mouth, using the smacking noises to create the sticky feeling. Chewing at different speeds added variation, and pitching it up makes the sound smaller for all the tiny spiders. Next, the sound of the cold air was made with people breathing out in an almost soft yawn, for a haunting vibe. This sound is pitched down and lengthened so it’s deeper, and then reverb is added to match the echoing in the caverns. Finally, a low and drawn out drone, also made with voices, was added to make the hum of magical energy. Reverb is once again added, and after the final touches are made the final track sends chills up your spine. Terran sounds are less synthetic and more gritty, so more foley is needed. Starcraft Maps like Braxis Holdout and the rundown Warhead Junction used different foley materials that are more metallic than ones used for other maps. Sounds like hitting and breaking metal structures start as humble objects, such as tubs filled with metal trays, pans, and other junk. For the mechanical Archangels, Blizzard sampled a 3D printer in action, especially the intricate noise of the nozzle moving around. Not all sounds are metallic, however, since Braxis Holdout is infested with Zerg. When completing the objective to trigger a Zerg Wave of Hydralisks, Zerglings, and Ultralisks, you hear the alien squealing noises coming to overwhelm you. If you listen closely you can tell that these sounds actually come from the squeals of a pig that has been pitched down. This slight familiarity helps ground the sounds and make them feel more realistic subconsciously. 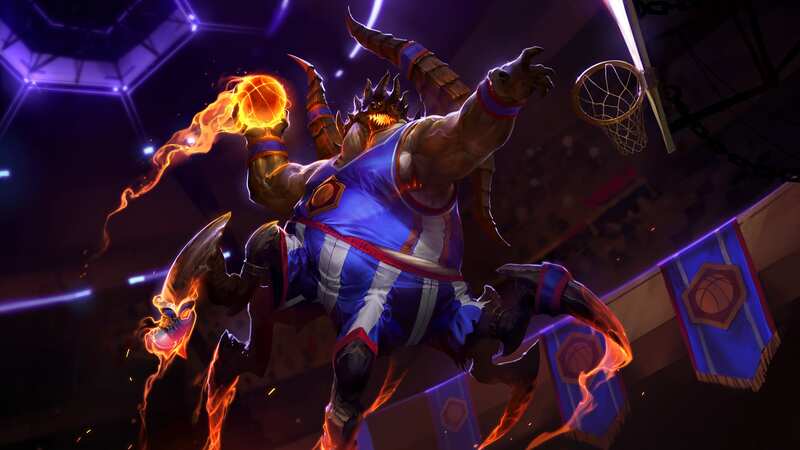 Far less serious sounds that are created for Heroes of the Storm are ones like shooting hoops as Azmodunk, a legendary skin for Azmodan. A lot of props take some creativity to sound like something they are not. In this case, however, most of the recordings are exactly what you think they are. The sound team went outside to record basketballs going through hoops or hitting the headboard for many of the base elements. They also used actual lockers for the sound of the locker opening in game. This is where the performance aspect of sound design comes into play, as the way that the sounds are being performed when recorded is important for the final result. Gently tossing the ball or closing a locker door doesn’t fit the character of Azmodan, so they were performed in loud and heavy ways to add realism to the sounds. You don’t lightly dribble a basketball as the Lord of Sin, you throw a giant rubber tire as hard as you can to imitate a much larger basketball. Abilities or skills are made more like a portfolio, and a certain amount of flow and consistency is needed. Using the same props in different ways, like running the basketball across a treadmill, can also create some of the more intriguing and unusual sounds. This way unique sounds were used for abilities like All Shall Burn while allowing them to still fit in with the feeling of the more standard ones. Character and creature sounds start in a similar way to environment sounds, but they need more individuality, so more small changes are added along the way. Designers begin by reading the notes and backstory of the character or creature and look at the initial concept art they are given. Once they begin making the sounds, they will add it to the game as soon as they can. This way they’re able to rework any changes needed as soon as possible after comparing the sound to the visuals. If concept changes are added to the design of the character itself, such as adding fire or changing its size, the sound team has to make more adjustments so they still match. Human-like creatures mostly use voice acting as the base, whereas more animal-like creatures will be sampled from the existing sound library or from out in the field. For Diablo especially, sounds are recorded using both a condenser mic, which is more accurate than others, as well as a high-frequency mic, which can be pitched down more in post-production. For monsters like skeletons, which are found all over the game, wooden materials are used for the rattling of bones. Rollers, chopsticks, and bamboo placemats were tousled together and used to create the shuffling bone sounds for when the skeletons move. The snap you hear when attacking a skeleton and breaking their bones comes from a sword piercing a thick bamboo mat. 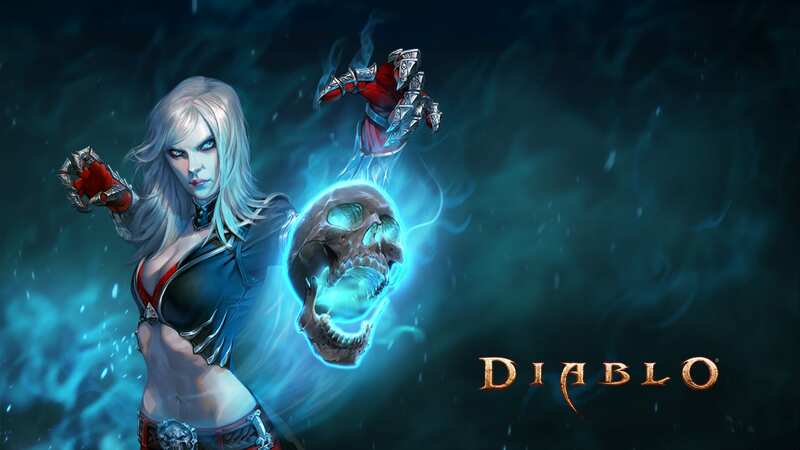 The characters that you play in Diablo have much more work put into them. The sounds that skills and abilities make need variation to be less repetitive when playing the game for long periods of time. Separating the sounds into layers and randomizing the volume, pitch shift, or other variables, like filters and distortion of each layer, helps with replayability. There are usually at least five variations used for each skill. It’s not just about making the sounds good, but making it that they aren’t too grating since skills are used so often. This includes skills such as Falling Sword, used by Crusaders. The original sound is made with a waterphone, an inharmonic acoustic percussion instrument made of steel. The sample is minimally processed and only pitched up a little since the sound already has a magical quality to it. When releasing sequels or updating current games the sound often gets a facelift as well. Sometimes sounds are remastered or remixed later if there were issues. 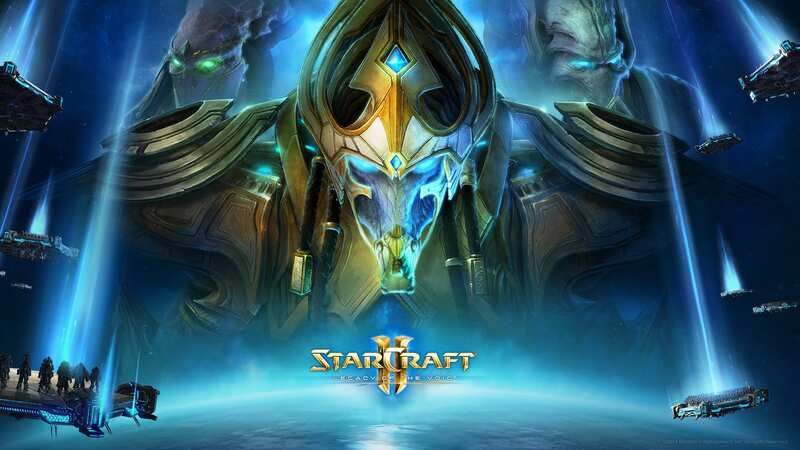 Starcraft II: Legacy of the Void updated previous sounds used after receiving feedback from the community and staff members. With more experience and resources available the sound design team can take another stab and revamp old sounds. The Lurker sound had to be remastered because in Wings of Liberty you couldn’t hear when they were attacking in multiplayer mode. After a few simple adjustments and changes, the sound of the spikes packed more of a punch, showing that even the same base samples can change a lot depending on how they’re edited. New clips were used for some of the remasterings. The Zerg vocalizations in cutscenes are a combination of a horse, a dog, and a seal, with the unexpected addition of a cappuccino maker steaming milk for the shriek at the end. The sound of a small bird was used to make the sound of the Protoss alarm sound on the Spear of Adun, yet it’s barely recognizable by the end. Other additions include multiple tracks to distinguish between the two psi-blades of Artanis. For one blade they used the original sound, made from a Korg Z1 synthesizer, and for the other blade they created a similar sound by placing a portable back massager in the bowl of a torch lamp and using a contact microphone to record. When played together they make similar yet distinct buzzing sounds. From start to finish the sound designers in Blizzard take everything into consideration. After looking at the concept, they begin experimenting to find the right sources. Sounds can come from airshows, garages, zoos, pets, or props inside studios, whatever is necessary. After processing and making adjustments over time, the end result is something that enhances what the artists imagined and draws players into the world. When you see it in the game and it’s natural, as though it’s been there forever, it means the sound is finally complete. Sound design panel at Blizzcon 2017. Basketball and locker sounds for Azmodunk. Pig squeal used for Zerg sounds. Diablo III sound design panel at BlizzCon 2011. Diablo III sound design interview. Skeleton King and laughing skeletons in Diablo III. “Starcraft II: Sounds from the Void” at Blizzcon 2015.